There is an article from Citrix explaining how to do this, but it is missing an important configuration step to make it work fully. Make two LDAP server profiles pointing to the same LDAP server IP. All the values should be same in the configuration except one. The Server logon name attribute is different for both the profiles. One has ‘sAMAccountName’ and the other one will be ‘userPrincipalName’. Now when the user tries to login with ‘domain\username’, they will be authenticated by the LDAP profile using ‘sAMAccountName’. And when they uses their email id, they will be allowed by the other LDAP profile. 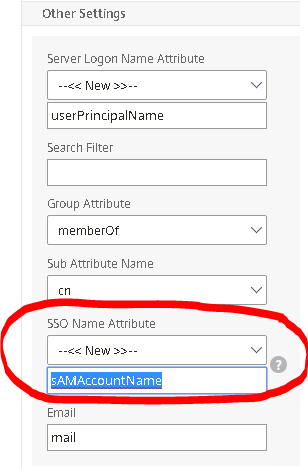 Now, have both authentication policies boud to your access gateway VIP and test the configuration by logon on with either sAMAccountName or userPrincipleName.